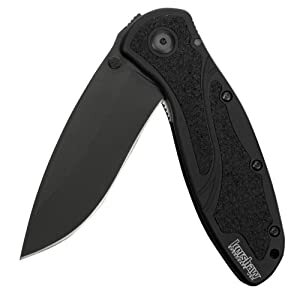 The Blur is equipped with a big, slightly recurved blade that’s ideal for multitasking. The blade shape offers both excellent slicing and piercing capabilities and the high-performance Sandvik 14C28N stainless blade steel offers corrosion resistance and hardness. It has a DLC (Diamond-Like Carbon) coated blade for extra corrosion resistance and enhanced looks.